So, I think the scene is from a Cleopatra movie – though I am not sure why I even think that. In this scene, the woman sits there among her servants. She wants to drink, so one of the servants takes the chalice (it was more of a chalice than anything else) and takes a sip – she’s the kind of servant who has to ‘test’ the food to see if it’s been poisoned. She then takes a cloth and cleans the edge of the cup. Then the woman who I believe was Cleopatra asks her why she did that. When the servant doesn’t answer, she commands her to drink again. The servant doesn’t want to at first but then drinks and dies – she tried to poison Cleopatra. Then the scene changes and there are white curtains blown by the wind. This is what I remember from the movie, but so far I haven’t found this scene yet. I would love to see it again though, to see how much of my memory is true and why it had such an impact on me that about 12 years later on I still remember this. Can you please help me out? Whether it’s from this movie ornot, it’s still an impressive dress she’s wearing. 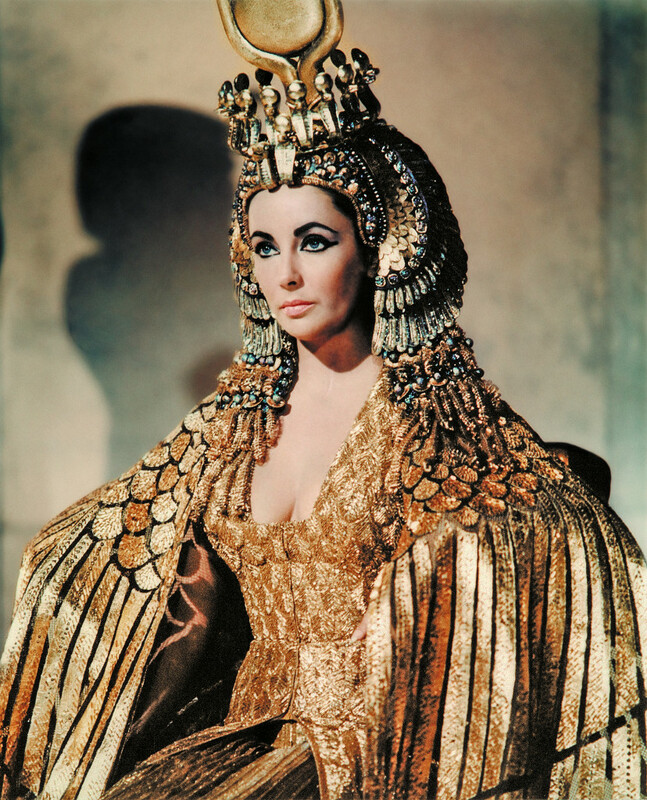 Edit: it was in fact the movie of the picture – Cleopatra from 1963! And my memory turned out to be quite wrong. I remembered it really differently. The basics are the same, but the clothes, the setting, the angle were all different. It’s nice to see it again though, and it seems to be a good movie as well. Thanks to everyone helping me out on this one! You rock!